For a visibly brighter and clearer complexion. Breakthrough herbal sunblock Cinnabloc™* provides UV protection and prevents skin darkening. 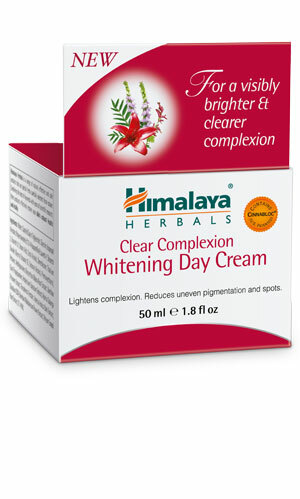 Massage Himalaya Herbals Clear Complexion Whitening Day Cream gently on cleansed face and neck, morning and night. May be used alone or under make-up.